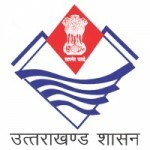 The Office of Uttrakhand Medical Service Selection Board (UKMSSB) published notification for recruitment for 45 Professors, Associate Professor, Assistant Professor, Rural and Urban Training Health Center. View more information about recruitment for e.g. educational qualification, selection process, no of posts, name of posts, salary details, how to apply, application fees, address details, important dates, important links all are as under.